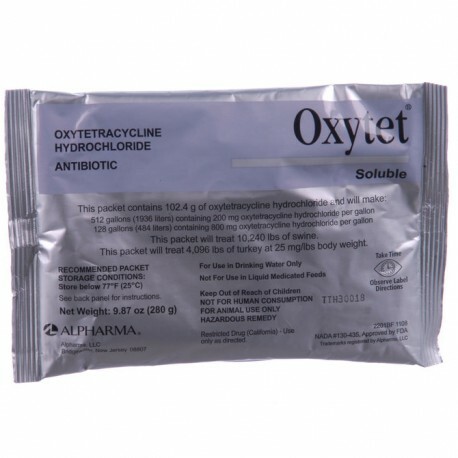 Alpharma (Oxytetracycline HCI) - An antibiotic for use in drinking water for swine, turkeys and chickens. 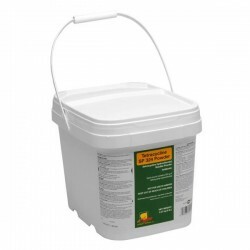 Use for 5 days in swine and up to 14 days in chickens and turkeys. Mixes well and will not settle out. 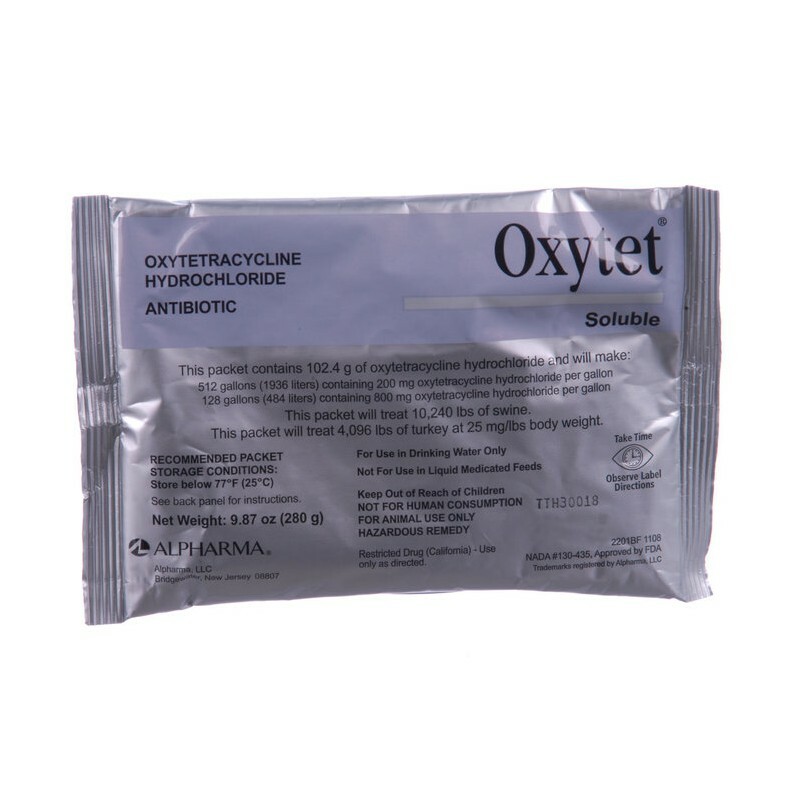 Use as the sole source of oxytetracycline. Not to be used for more than 5 consecutive days in swine or 14 consecutive days in chickens and turkeys. Mix fresh solutions daily. Use as the sole source of drinking water. Do not mix this product directly with milk or milk replacers. Administer 1 hour before or 2 hours after feeding milk or milk replacers. Consult a poultry diagnostic laboratory or poultry pathologist for diagnosis and advice on dosage for chickens and turkeys. As a generalization, 200 chickens will drink 1 gallon of water per day for each week of age. Turkeys will consume twice that amount. 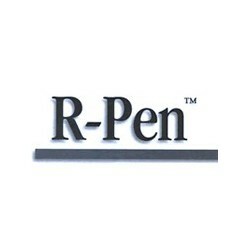 Administer up to 5 days to swine and 7 to 14 days for chickens and turkeys. The concentration of drug required in medicated water must be adequate to compensate for variation in the age of the animal, feed consumption rate, and the environmental temperatures and humidity, each of which affects water consumption. 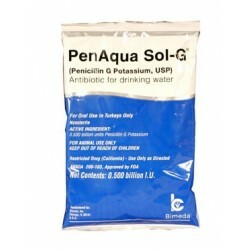 Dosage And Indications For Use In Water Proportioners - Add The Following Amount To 1 Gallon Of Stock Solution When Proportioner Is Set To Meter At The Rate Of 1 Oz Per Gallon. Control of infectious synovitis caused by Mycoplasma synoviae, susceptible to oxytetracycline. Control of chronic respiratory disease (CRD) and air sac infections caused by Mycoplasma gallisepticum and Escherichia coli, susceptible to oxytetracycline. Control of fowl cholera caused by Pasteurella multocida, susceptible to oxytetracycline. Control of hexamitiasis caused by Hexamita meleagridis, susceptible to oxytetracycline. GROWING TURKEYS - Control of complicating bacterial organisms associated with bluecomb (transmissible enteritis, coronaviral enteritis), susceptible to oxytetracycline. FOR BREEDING SWINE: Leptospirosis (reducing the incidence of abortions and shedding of leptospira) caused by Leptospira pomona, susceptible to oxytetracycline. The 280 g packet will treat 10,240 lbs of swine.